Sweet Eats Bakery at Voorhees is so loved by the locals that they get up to 400 orders of 7-inch cakes on a typical weekend. Established in 1987 by a husband and wife tandem of Marge and Doug Davidowich, this shop prides itself on using good quality ingredients and they never compromise the flavor for shortcut means. So even if they get orders in high volumes, patrons can expect quality cakes that are reasonably-priced each time. They create masterpieces with their cakes and you really have to take a bite of their famous white chocolate cream cake. If you love croissants and a hearty breakfast, then try having both at Sweet Melissa Patisserie at Clinton Township. The place may be small but they have a creative menu that will satisfy your cravings. The patisserie is operated by Melissa Murphy and his husband. They make everything from scratch including the crazy good bacon! Prepare yourself for a mind-boggling choice of eclairs, macarons, caneles, and other French pastries. Discerning palates will not be disappointed at the treats waiting at Baking Grace, Hawthorne. They only use the finest chocolate, high-quality butter, and freshly-whipped cream for their desserts. They believe that the best desserts are made with ingredients that are never being pre-mixed. They follow their recipes using the finest ingredients and bake their cakes in small batches that is why you will always get fresh cakes, pies, and cupcakes. Don’t skip their Red Velvet cake that’s come with special cream cheese filling if you want to be dazzled with an authentic southern treat. Inspired by Korean pastries cooked by her mother, Keum-Sook Park went on to follow her calling at the kitchen and opened Sook Pastry at Ridgewood. Her impeccable taste for desserts can be seen on her exquisite creations. Her skills on baking French pastries are really impressive. Try the Napoleon on your visit and you will instantly be transported to dessert paradise with its heavenly cream filling. Do any of these bakeries have you salivating? 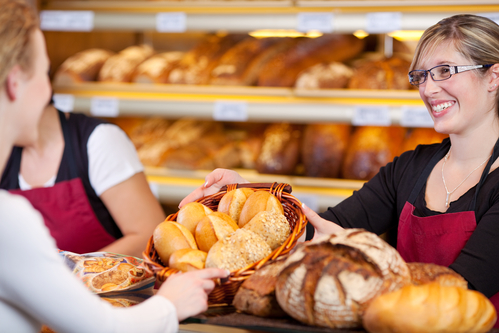 Head on the nearest one and grab a sampling of their best breads on display. Bakeries are not the only ones worthy of a visit in New Jersey. The Garden State has plenty of delectable delights waiting to be discovered. If you are considering moving to NJ, get in touch with a reputable real estate agent who can assist you in finding prime properties on the NJ market.